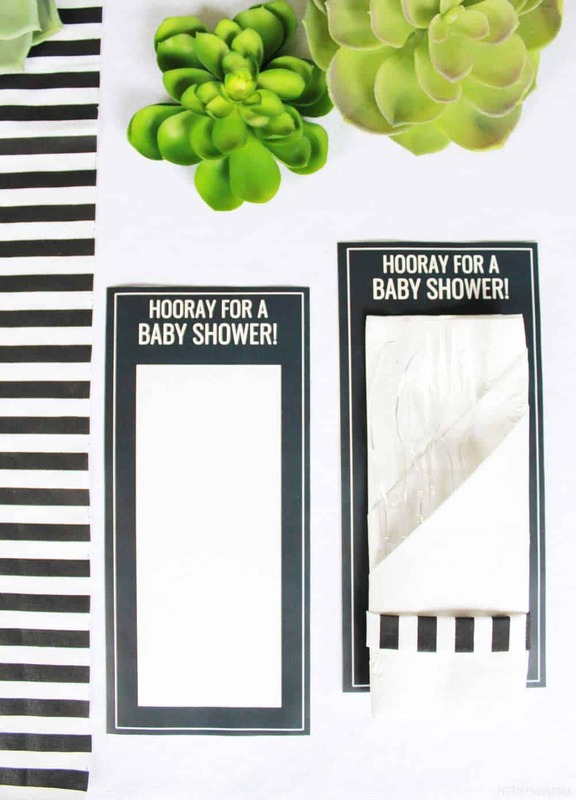 Planning a party or shower soon? 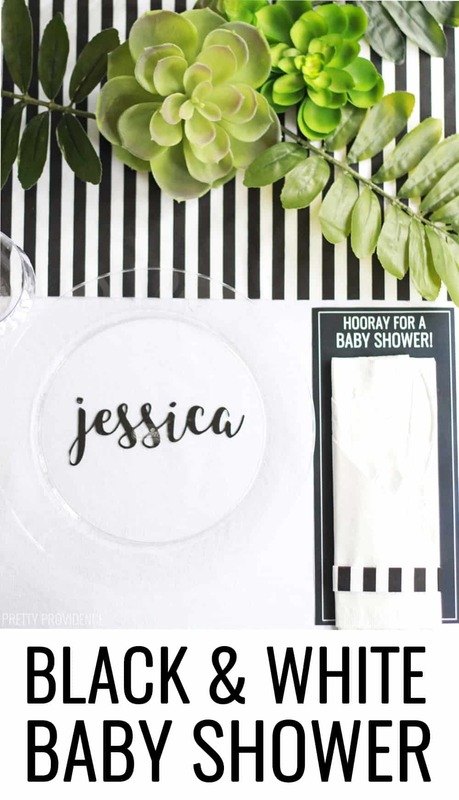 Check out this black and white baby shower table with fun decoration ideas and a free printable baby shower card for the guests to fill out if they want to! I love throwing parties and especially baby showers. 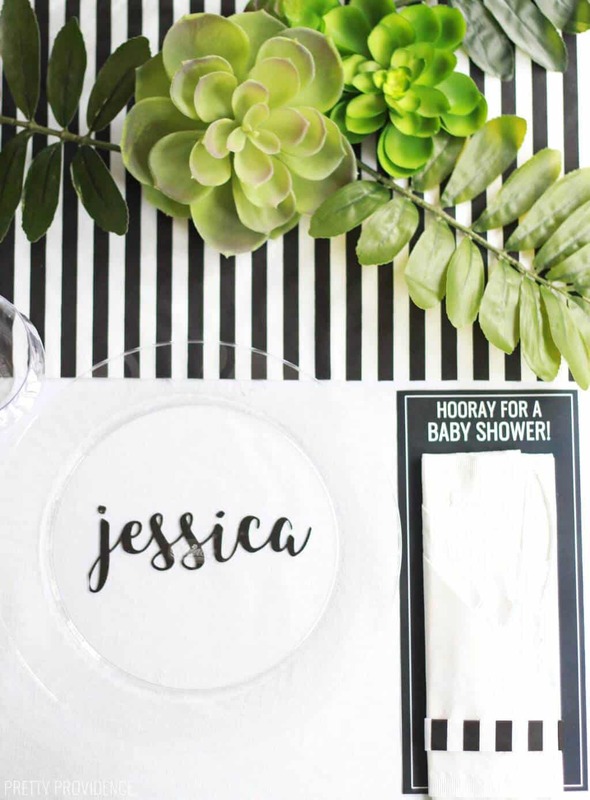 Coming up with baby shower ideas is actually fun for me. I think about it even when I don’t have a shower to throw! 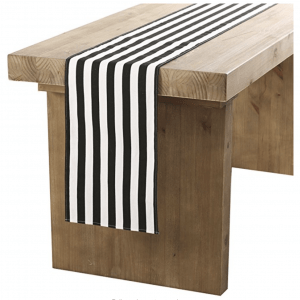 Recently I put together this table with black and white stripes. 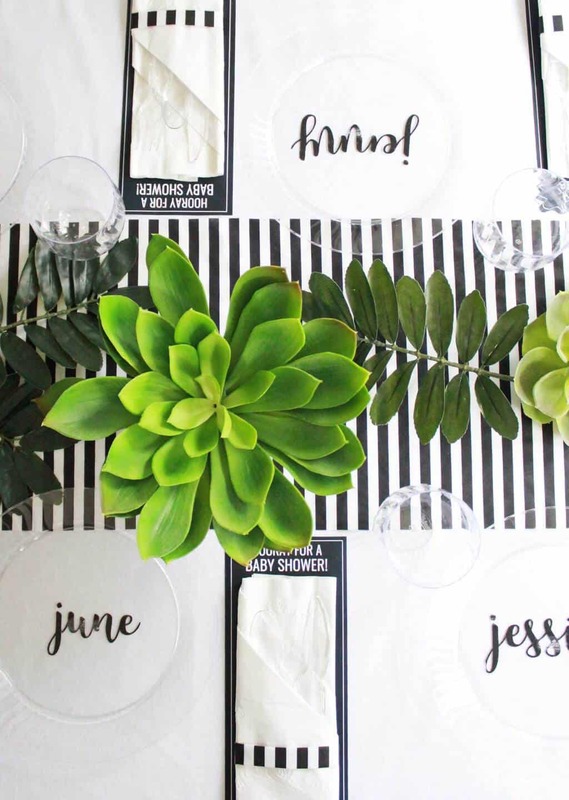 A black and white striped table runner is one of my favorite elements to use for party decor because, well I love stripes, we all know that. But also because it’s neutral and you can pair the stripes with any other color, any flowers, balloons, etc. This time I decided that just greenery and succulents would be great with the black and white. 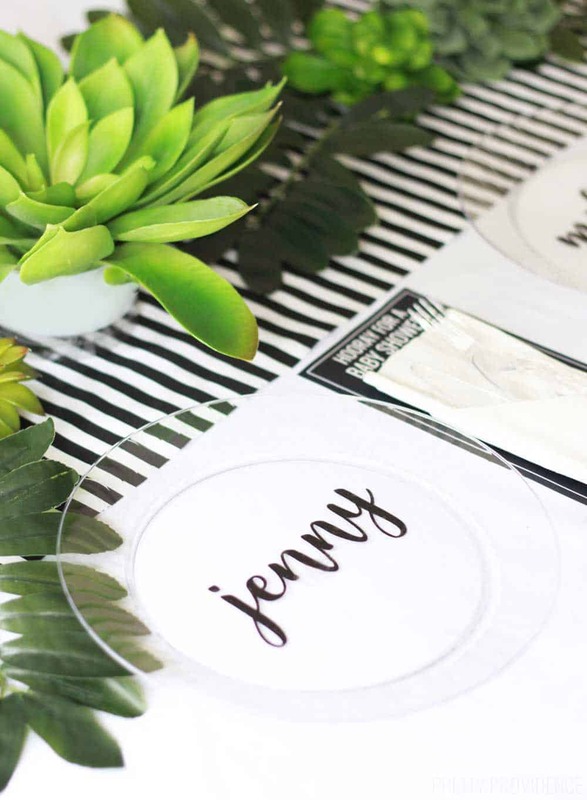 I love to add personal touches to a table too, so I decided to cut names out of adhesive vinyl and stick them onto clear plates, so they can double as place cards! 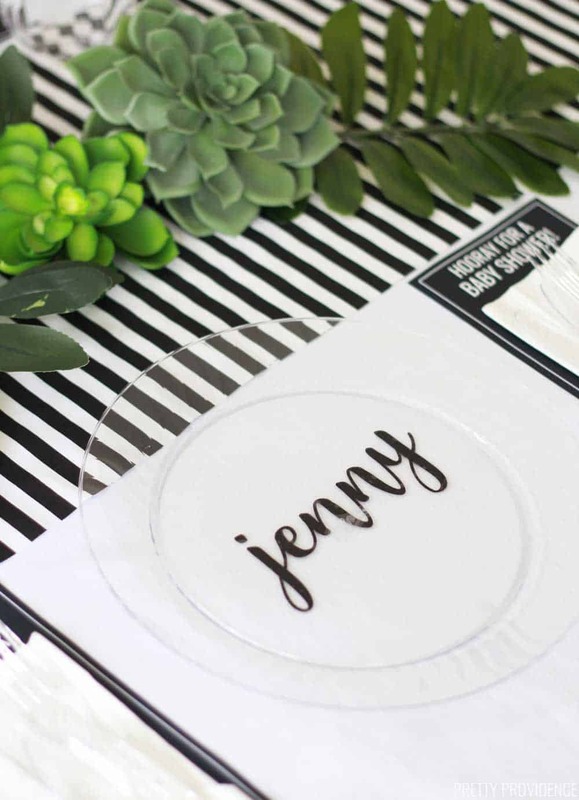 I did a similar thing recently, but with paper, making personalized name placemats. Isn’t that so cute? It’s so easy too. 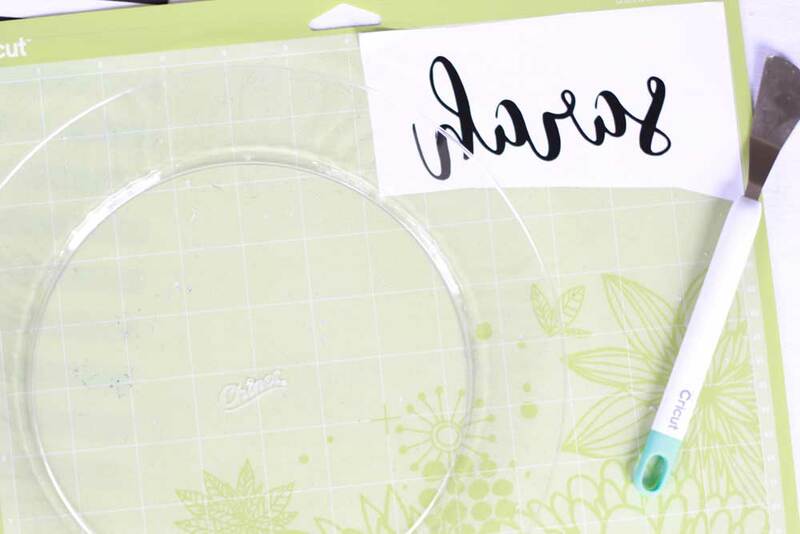 I used adhesive vinyl that I cut out with my Cricut. I cut it ‘mirrored’ so that the sticky part would be facing the right way. 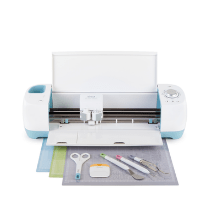 You could mimic this idea without a cutting machine easily! 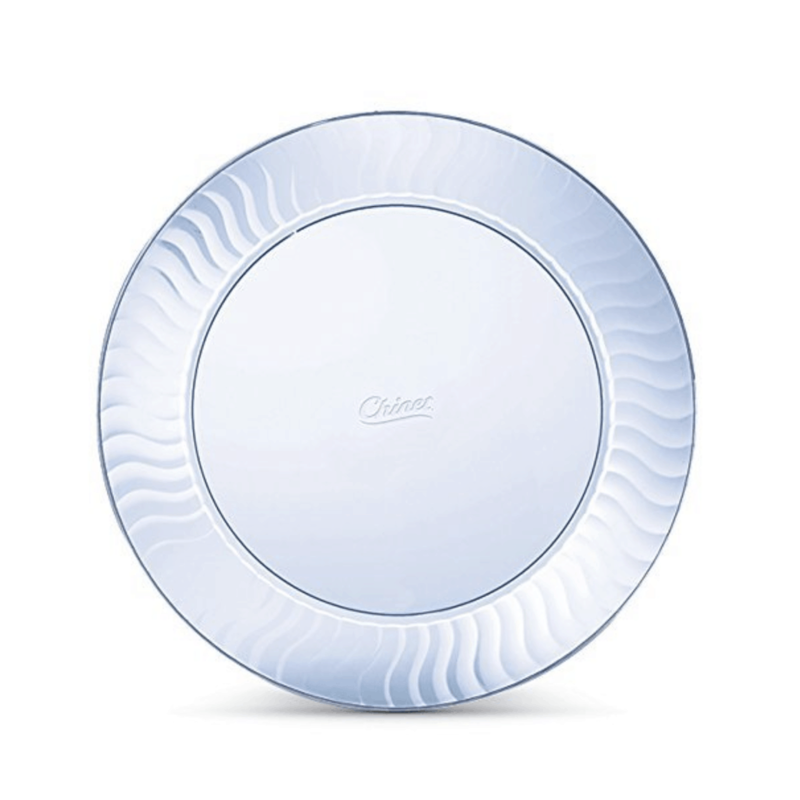 Just print or trace the name on paper and cut it out, then place them under clear plates. 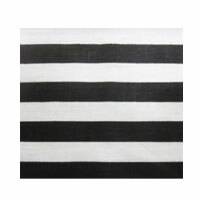 As far as putting the table decor together, I had some beautiful black and white fabric I had been waiting to use for something special so I quickly cut out this black and white striped table runner. I ironed it really well with starch, but otherwise left it untouched. No hem or anything! Next I added faux succulents over the runner. 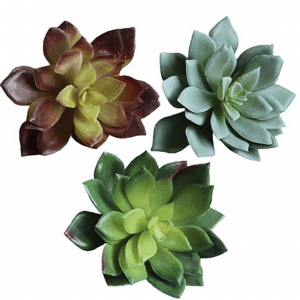 I had some big tropical leaves too and an oversized succulent that I had been waiting to use for something forever – that made a perfect centerpiece! I’ve paired a striped table runner with a colorful balloon garland before too, which I highly recommend trying if you’re looking for an inexpensive party or baby shower decoration! The cutlery and napkins came together so well with a triple fold and a little bit more of the striped fabric as napkin rings. Since we all know a table scape is all in the details, I wanted one more thing to make the napkins more visible on top of the white tablecloth. I created a little printable that can be cut out to go under the napkin. ‘Hooray for a baby shower!” seemed like the perfect phrase for it. 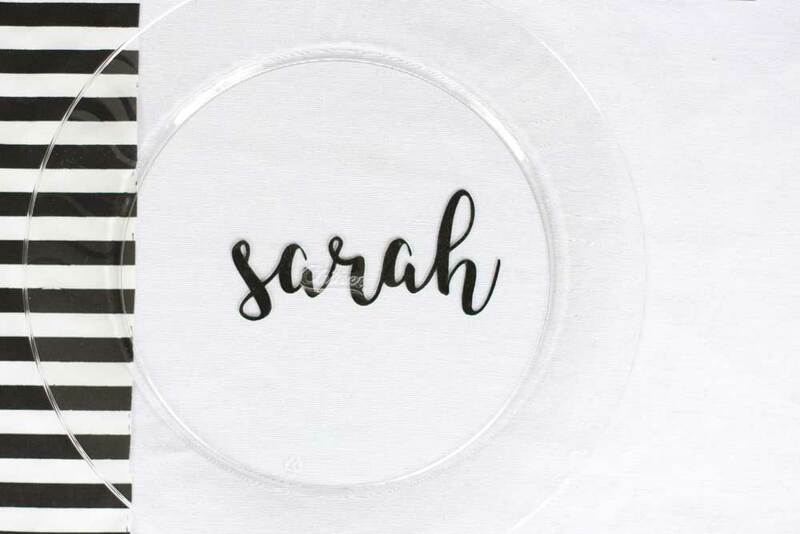 Under the napkin there is space for each guest to write their expecting friend a sweet note – whether it’s their own motherly wisdom they’d like to share, some words of encouragement for the first sleepless few months, or an inside joke is up to them! 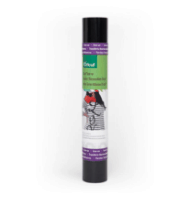 You can print the stationary for free, just click here.